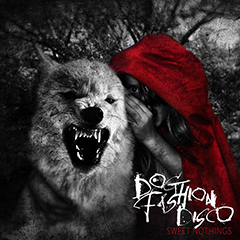 Dog Fashion Disco is an avant-garde metal band from Rockville, Maryland. Psychostick is an American comedy metal band from Tempe, Arizona, known for their silly image and usage of humor in their songs and lyrics. Their style is referred to by themselves and some online album review sites as "humorcore".